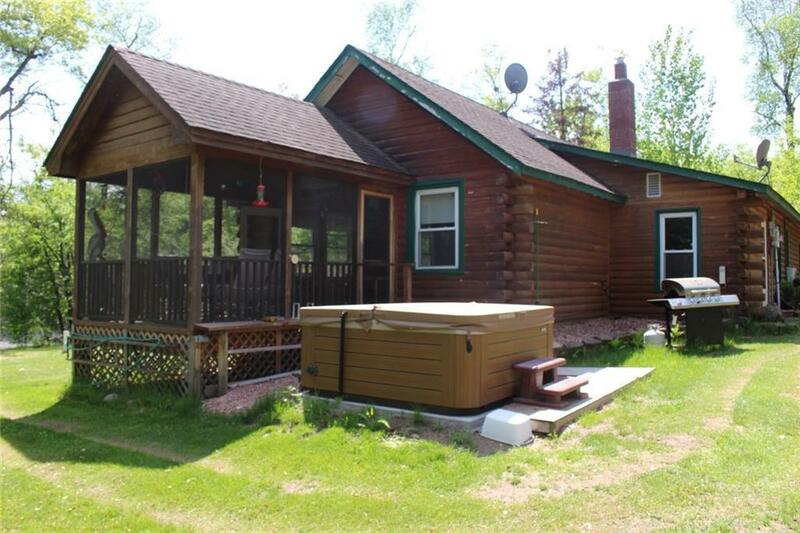 Well maintained log home with perfect elevation on a spacious lot with almost 300 feet of frontage. Home features several very large bedrooms, screened porch, extra large pole building, hot tub, and great privacy from the neighbors. Truly a great North woods getaway in look and feel, this is a great package for anyone looking to be on a quiet clean lake and enjoy all the comforts or cabin living. Directions: Hwy 35 North To Right On St Croix Trail, To Left On Little McGraw Lake Road. Property Is On The Right.